Compared with women in the lower part of the reference range (thyrotropin level, 0.50-1.4 mIU/L), the hazard ratios for coronary death were 1.41 (95% confidence interval [CI], 1.02-1.96) and 1.69 (95% CI, 1.14-2.52) for women in the intermediate (thyrotropin level, 1.5-2.4 mIU/L) and higher (thyrotropin level, 2.5-3.5 mIU/L) categories, respectively. The researchers added that no clinical research has studied the impact thyroid medication might have on this added heart disease risk. The study findings did not show the same connection between thyroid function and fatal heart disease risk for men. We’ve always made the argument here that health is more than the sum of a few clinically measured parts. It’s ultimately a whole package, an interactive design. Hormone balance is absolutely key to good health, and an imbalance is assuredly sign of wider havoc. Thyroid function is part of the body’s intricate hormonal symphony and is tied to a number of lifestyle related choices and circumstances, including environmental toxin exposure (most notably but not exclusively perchlorate, a chemical used in rocket fuel that is present in water and milk and has been linked to thyroid malfunction in animal studies) and chronic inflammation that may be caused by factors like a consistently poor diet and/or autoimmune disorder. We always advise making the most of preventative medical care. For women in particular, getting a thyroid function test and talking about the results with your doctor is one step toward knowing more and taking charge. Questions? Comments? Experiences in this area and suggestions to add? Anna-I was just about to give my rant when I noticed your post. I can talk about this topic all day long….and I do. There are so many people suffering(whatever the cause)with hypoT., hypoP., and adrenal insuffiency. What makes it so horrible is that most physicians do not have a clue how to treat. Often, patients are diagnosed with several different conditions and are prescribed several different medications. Almost always, a doctor will prescribe SSRIs, BENZOs, or the like. In fact, I’d say that people with this condition keep the drug pushers in business. Thyrotropin(hypothalamus) stimulates the pituitary to produce TSH(thyroid stimulating hormone). TSH then increases thyroxine in the thyroid. The TSH blood test is a pretty standard test. The idea is that if TSH is high(above range) then the thyroid gland is struggling. Remember that TSH is a pituitary hormone, NOT a thyroid hormone! As Anna mentioned, free T4 and free T3 are thyroid hormones and doctors simply have not been taught how to properly test/treat. Since hashimottos is an epidemic, both anti-bodies need to be tested. A thyroid function test(TSH) will get you nowhere fast!!! It’s simply a bad test to determine hypoT. If you’re lucky and your TSH is extremely high, then a doctor most likely will prescribe his favorite synthetic T4 med., such as syncrap(synthyroid) or, levothyroxine, or levoxyl. “Syncrap” alone brings in 500 million dollars a year yet leaves people worse, under-treated, and side-effects. A superior thyroid replacement is bio-identical thyroid(armour, for example). We all know how important lifestyle and diet is for over-all health but hormone problems especially thyroid is an epidemic. All hormones are tied together so it is no surprise that hypoT. is becoming as common as insulin resistance. Anna-I as well have struggled for 25 years(I’m 38 years old now). It’s so pathetic to see people who have suffered for so many years due to medical incompetence. I’ve made it my full time job (especially the last year and half)to getting myself better. Yup! There are so many of us with thyroid frustration stories, it’s sad to say. And there are many, many more who have no clue that it is their thyroid that is causing their struggles. Like you said, the drug companies are profiting. At first, I think the experience I had with my primary care internist when I realized that I might actually have had thyroid dysfunction after all, actually induced depression for me for a few weeks, because I felt there was no hope with a lab in my system that used an outdated reference range (I figured every other doctor in the system would tell me the same thing). At the same time, I realized that the infertility I experienced for 7 years probably was least in part due to my underactive thyroid, but by that time it was too late. Then I got mad, and decided to learn more, and not settle until I was taken seriously, even if that meant I needed to “doctor-shop”, something I had never done before. That is why I sought out a thyroid specialist (who is also hypothyroid) instead of a primary care doctor. It wasn’t that I was just looking for someone to agree with me, but I wanted a full investigation and to not be placated and brushed aside. For the first time in my life, I understood why the word “hysteria” came into common language because the medical profession just attributes anything related to mid-life females as uterus-induced craziness! I laugh about this now, but if wasn’t very funny two two years ago when I was trying to get things sorted out. And while a good, nutrient-dense diet and healthy, balanced lifestyle are very important aspects to include as part of overall thyroid treatment, they will not effectively treat thyroid disorders by themselves, despite what that friendly supplement department clerks, some book authors, and helpful friends and family suggest. I absolutely think diet and life are crucial to appropriate treatment, but as a adjunct, not the mainstay of treatment. Some people might benefit from some additional iodine in the diet if they are not getting enough, but usually a deficiency is not the problem. Self-treating with iodine supplements can make matters worse, too. Additionally, many of the very foods people are eating because they think they are very healthy foods, can make thyroid problems worse, especially soy, crucifers (broccoli, cabbage, kale, Brussels sprouts, cauliflower), so-called goitrogenic foods. Rather than stress a hard pressed thyroid gland into vainly struggling to make enough hormone, I would much rather supplement it with hormone so it doesn’t have to work so hard. Believe me, I think my thyroid gland has been trying to work hard for more than a decade. It is much happier when I give a break. In September I can tell easily tell when my dose needs a winter adjustment because I get a sore throat and fatigue at a very predicable point in the afternoons. That’s my thyroid gland, struggling in vain to make what I need, and it just can’t. I am not one to take medications lightly; in fact I try hard to avoid them. I look at this as supplementing a deficiency, not taking a drug. Crystal, you brought up synthetic vs. bioidentical thyroid hormones, too, which is an interesting topic. There are lots of people who do not do well on synthetic T4 alone, and prefer Armour and other brands of natural thyroid hormone from pig thyroid glands. It is not true that Armour is any more inconsistent than synthetic T4 preparations, despite what uninformed doctors say (some have even said Armour is from cows! ); in fact, Synthroid, the biggest synthetic brand, has the most FDA problems and manufacturing recalls due to inconsistent doses and loss of potency), but Abbot has an arsenal of sales reps to push it to the docs and nurses anyway. I haven’t tried Armour as a solo treatment so I don’t know it personally. My doctor has a theory that many hypothyroid patients do well on Armour thyroid hormone (standardized natural thyroid extract from pigs) at first, but later do less well because that medication, while bio-identical and containing the full range of T1, T2, T3, and T4 that the human thyroid makes, has a porcine physiological ratio of 80% T4/20% T3 (for pigs, not humans). The human physiological ratio is closer to 98% T4 to 2 % T3, or even 98.5%-1.5%). That’s why he prescribes a timed-release, compounded small dose of natural thyroid extract (what Armour is made of ) to more closely mimic the human ratio. He also has been adding a tiny amount of T2 to my compounded Rx this year. It isn’t clear what T2 does, but the body makes it and I doubt it would make something for no reason. I think it might help a bit with mental concentration; I noticed an improvement when it was added to my Rx. I also noticed my productivity in some of my activities went up a bit (actually my husband & son noticed). Most doctors do what they’ve been taught and what the drug reps tell them is best: prescribe straight synthetic T4 and if the patient doesn’t have 100% improvement, the patient is a PITA, depressed, and/or a malingerer/hypochondriac. 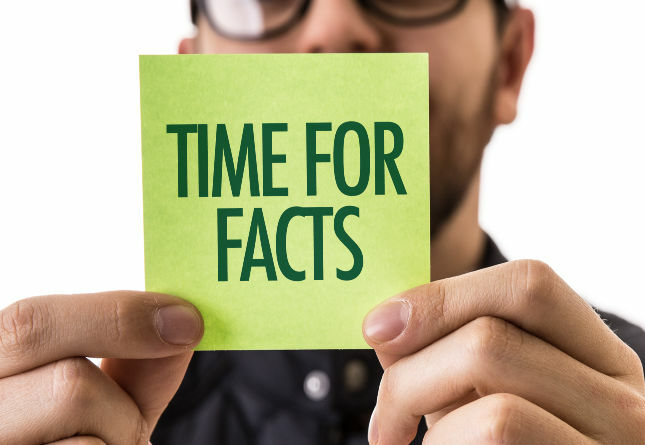 A few doctors will prescribe T3 in addition to synthetic T4, but usually they prescribe the mass-produced synthetic Cytomel, which is not a timed-release formula, and only comes in standardized doses. That requires multiple doses a day and roller coaster T3 levels, which often leaves patients feeling poorly also. After that, their bag of tricks is empty, except for more drugs for remaining symptoms – sleeping pills, antidepressant panaceas, etc. Ok, I’ve probably put everyone to sleep now, except for the folks who know they are hypothyroid and can relate. A good place to investigate thyroid issues is Mary Shomon’s about dot com thyroid site. She’s a tireless thyroid patient advocate. And Mark’s Primal Diet is a good diet for thyroid patients, too. Just watch the cruciferous veggies, though. Not too many. I agree Anna. Sounds like you’ve done your homework and your doctor sounds like a winner. Glad you’re feeling better. The problem with the compounded stuff is that it is only T4 and T3 and as you said, T2 and T1 is important. I think that most people do just fine on armour at the right dose, assuming their cortisol levels are healthy—but I understand what you’re saying. Also, some hypoT. people have digestive issues as well and the compounded (time-released) doesn’t work quite right. Everyone needs to decide what works. Wouldn’t it be nice if we didn’t have to figure all this out on our own? Natural thyroid extract, whether in Armour or a compounded formula has the full complement of T1, T2, T3, T4 hormones, but in porcine ratios instead of human ratios. Conventional medicine thinks T1 & T2 are not important, because that’s because CM hasn’t figured out what those hormones do yet! That noise you hear is my banging my head against the wall :-). I’ve been tempted to try Armour for comparison, but then again, it if ain’t broke, don’t fix it, right? But one of these days I’m going to have to find a local doc and that might be the time to give Armour a whirl. I had my first 25 (OD) D level test last December, after I had been supplementing with D3 @ 2000-4000 iU since spring. My result was an ok 44, which makes me wonder how low it was before I supplemented! But I’m also reassured that my D3 dose isn’t too much and I can probably stand to take more to get it up over 50. Interestingly, until about a year ago, I had been scrupulously avoiding the sun, covering up, and daily slathering on high SPF sunscreen per my dermatologist’s instructions, because I had a basal cell cancer removed from my nose when I was 37 (plus I now live in So Cal. In hindsight, I think the lack of sun exposure wasn’t such a good idea for a number of reasons. Now I try to get a bit of sun quite often, not enough to burn or turn pink, but enough sun, timed early enough in the day to “set my internal clock” and get some Vit D production. Exposure to sunshine seems to improve my sleep and energy levels. I’ve barely tanned. Obviously, if I have prolonged exposure I do what I need to do to avoid burning (Irish-German heritage skin!). I might have some increased photo-related aging, and perhaps even increased risk of another basal cell cancer, but in the long run, I can accept that for the benefits. I’m not that vain about wrinkles, anyway :-). Most of the damage was probably done when I was a naive teenager, anyway. In the winter, even in sunny So Cal, I know the Vit D producing angles of the sun are only provided during a very short window in the midday. Plus, it’s rather cool near the coast, so I am usually covered up to stay warm when I am outside (while my internal temp has risen with thyroid treatment, I’m still on I on the cool side so I always wear more layers than anyone else around me). But I think some sunshine exposure helps with nighttime sleep and my energy levels. I’m sure the reduced light of the fall has something to do with my seasonal thyroid hormone need. My doctor is in the Northeast and most of his local patients need more hormone in winter. He thought it was because of the colder temps, but I think it is the light (So Cal is actually warmer in Sept/Oct because of the weather patterns reversing the wind direction). Two Septembers in a row I called him with a return of some symptoms (mostly afternoon fatigue and aching throat) and according to his records, it is the same time each year. I’ve always been borderline anemic. The Red Cross rarely wants my blood because I don’t quite make the hematocrit cutoff, despite all the meat I eat. B-12 tested ok in December. Not sure if it was ever tested before then. When I remember to take my vitamins, I do take magnesium. Months after I started treatment for hypothyroidism with my current doc, I noticed the palms of my hands became noarmal colored again. They were a ruddy color before. Somewhere I came across info (can’t remember where – I’ve read so many books and studies) saying hypo-Ts don’t convert beta carotenes into Vit A very efficiently. I make sure to get enough formed Vit A now, too, rather than relying on precursors and conversion. Thanks, Crystal. I’ll check out the link you provided. You’re welcome. I wish I had tested vit. D etc. before supplementing as well. My vitamin D is 34, not so good and I’m fair skinned. I’m now taking 3000 iu’s of D3 and will re-test later. Yes, it’s true, hypoT’s don’t convert to vitamin A very well either. You need to test your ferritin levels(iron storage). It should be at least 50 (70-150) is better. There is a direct relationship between iron and how well you use your thyroid hormones. Many people actually go a little hyper and have to lower their dose once iron is up. It’s frustrating because thyroid meds. won’t work well if there are certain defiencies. On the other hand, these vitamin/minerals defiencies will not start to absorb or convert well until the thyroid levels are good. Go figure. I’ve learned a lot from my thermomitor and have been tracking temps. for a year. I’m still a work in progress, and hope to be better by the end of the Summer. Nice talking with you Anna. I suppose the question that I find interesting is why this seems to hit women more than men and what is the reason for an increase? I can understand insulin resistance as it seems to be generally correlated with poor diet but thyroid disease seems to affect very healthy people (unless it is all genetic?). It does seem to be more common in women but I can assure you that men have plenty of hormonal problems as well, including thyroid. A lot of it has to do with an imbalance of estrogen/progesterone. Estrogen dominance binds thyroid hormones. This is a problem for both men and women. The adrenals play a big part. High cortisol will prevent the conversion of T4 to T3(active hormone). Eventually this could lead to low cortisol. Cortisol is needed to absorb thyroid hormones out of the blood and into the tissues. Hashimottos thyroiditis is a very common autoimmune disease. (food supply-grain, environmental) Anti-bodies do go down with a low-grain diet. Poor eating habits, of course. Environmental (too many to list). Genetic? Yes, but here’s my question. Mothers who are hypoT. while pregnant have a much higher risk of having hypoT. children. Is that genetic? Medications-especially the psych meds have been shown to screw up the hypothalmas/pituitary axis. Another reason for hypoT. is the pituitary. I have secondary adrenal insuffiency and secondary hypothyroidism. 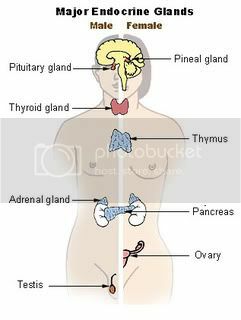 Meaning that my glands work but for whatever reason, my pituitary does not send out enough TSH and ACTH. Don’t know why, Anyone? All of the endocrine hormones either work together or they don’t and insulin(hormone) is no exception. Did you know that thyroid health is a concern for nearly 11 million Americans? And, a healthy thyroid supports healthy weight and cholesterol? Is thyrotropin level the same as the TSH value in blood tests?